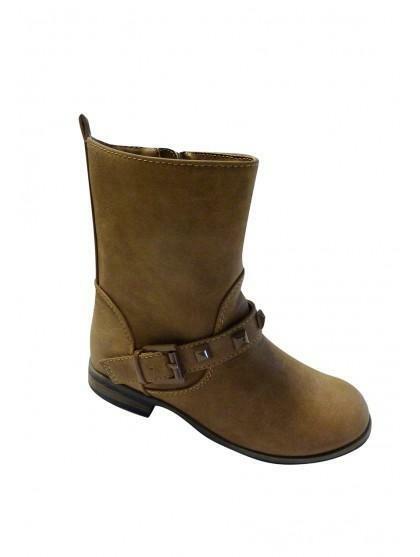 Girls flat biker boot with studded strap. Great for creating a rock chic look! Wear these boots with jeans or leggings perfect for the chilly months.